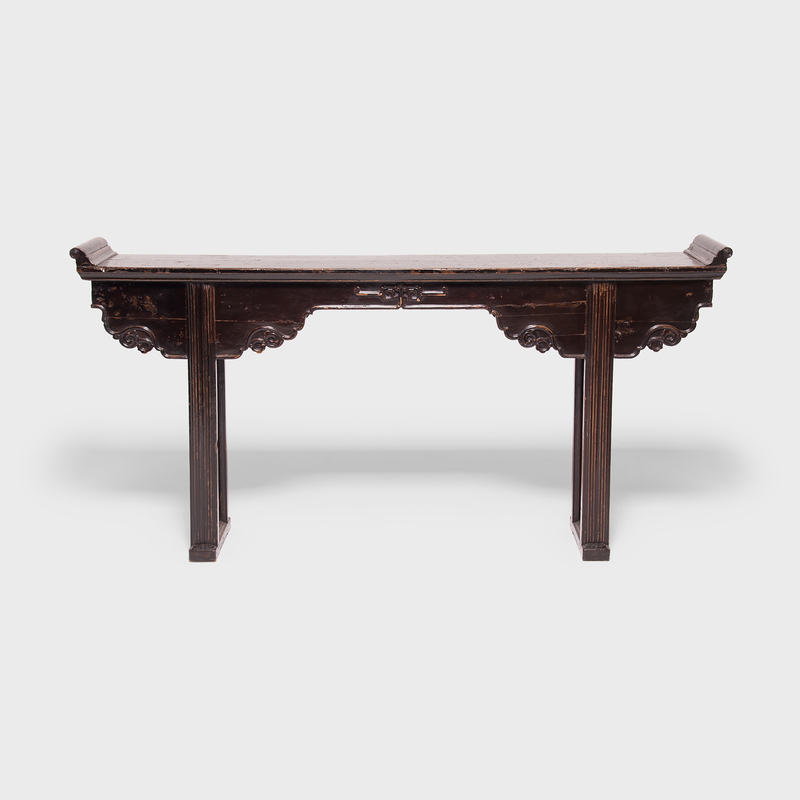 W: 79.0" D: 14.5" H: 40.25"
The elegant design of this 19th-century flanked top altar table from China's Fujian province is accentuated by intricate details, including hand-carved side panels of cherry blossoms, symbolizing beauty and longevity. 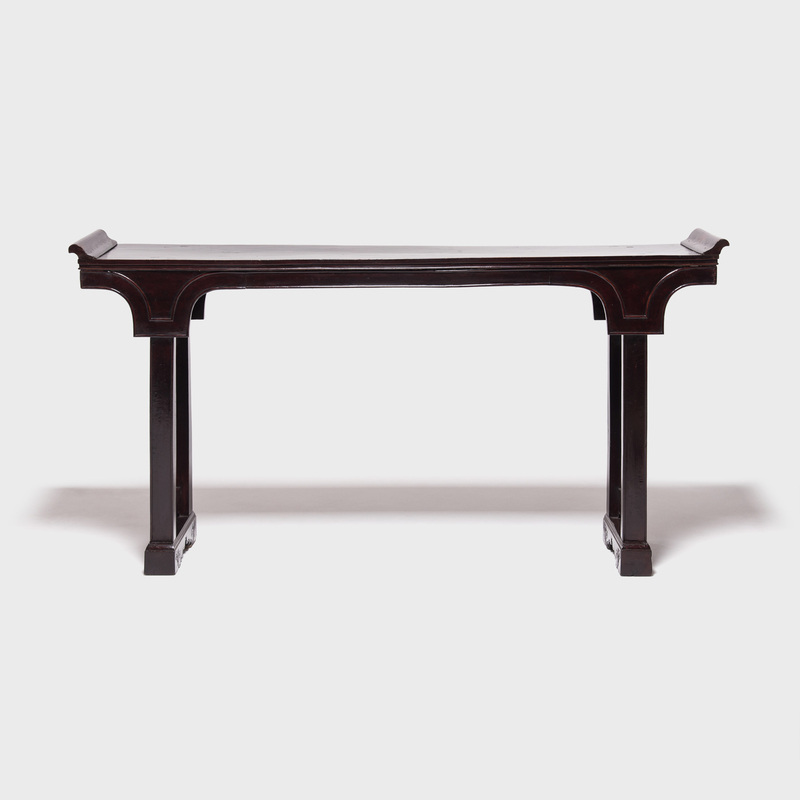 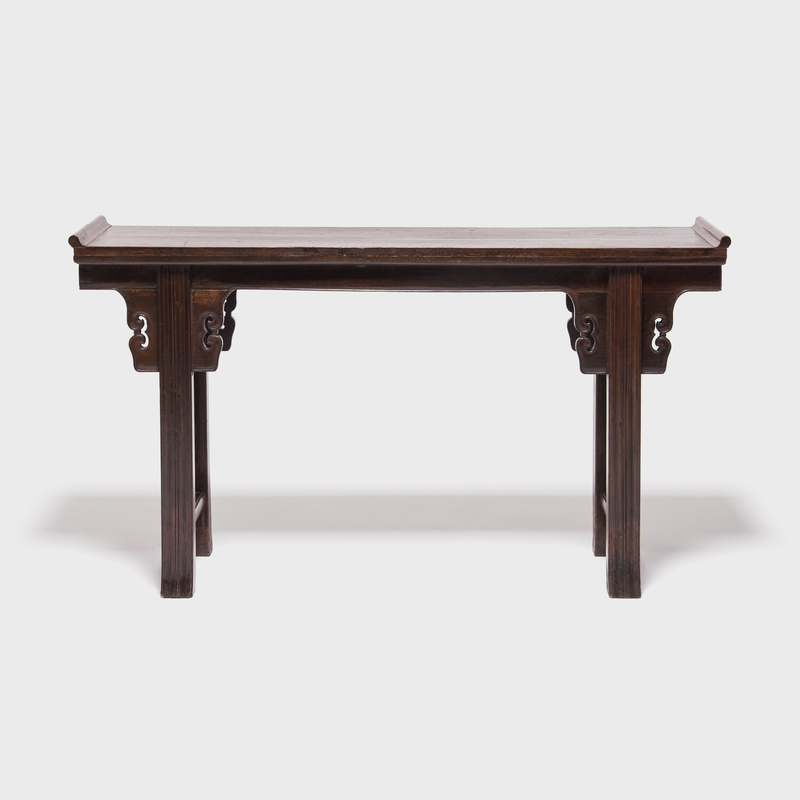 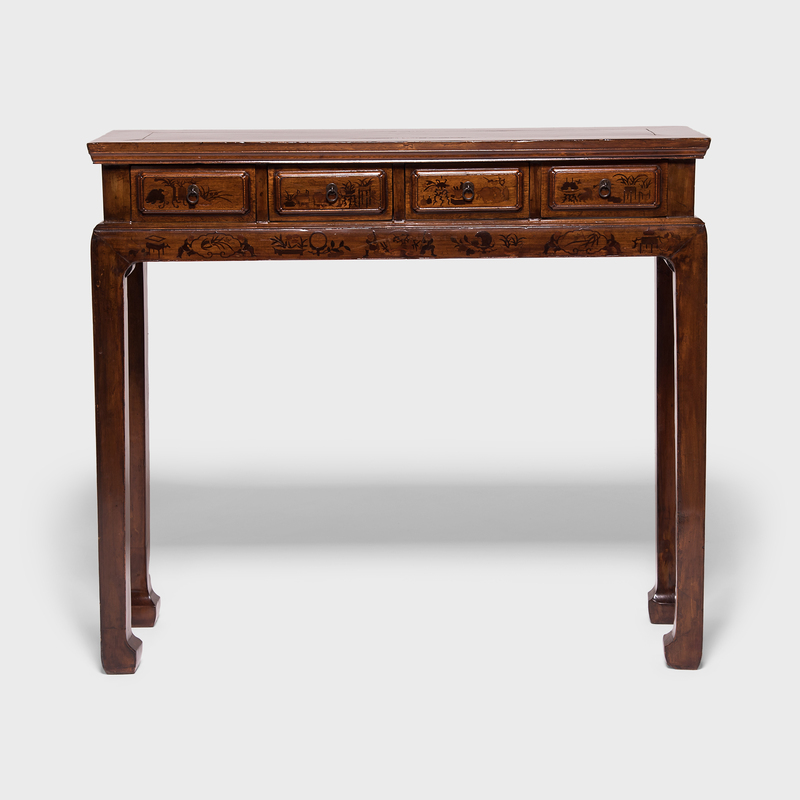 Beautifully proportioned and effortlessly graceful, the altar's upturned flanked edges, clean lines, and mortise and tenon joinery show that the artisan who made this table was a master craftsman. 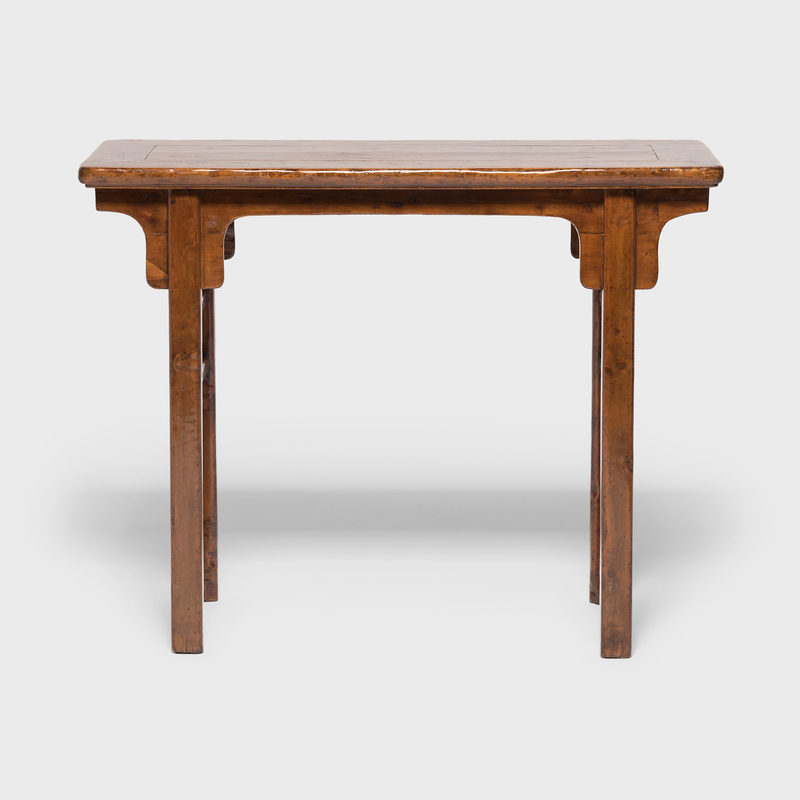 Table apron to floor: 34.75"